Jim Bachman Wedding & Event Guitarist and Music Instructor. Bachman’s Music Studio was created in 1990 and has been offering quality music instruction and performances throughout the county for the last 23 years. We have worked hand in hand with the Cal Poly Music Department and various school districts to provide the best instruction available. All of the teachers we recommend are top-notch professionals that have impressive backgrounds in both education as well as performance. 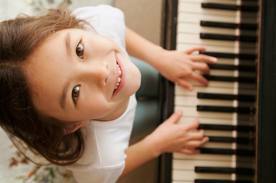 Bachman’s Music lessons are structured to each student’s individual wants and needs. We provide lessons in your home or at our professional studio. We also offer group lessons in guitar, ukulele, and mandolin. Bachman’s Music Studios allows students to learn about and experience the language of music while building self-esteem and confidence. Our philosophy is very simple. We believe that you are never too young, too old, too experienced, or inexperienced to learn. If you are planing a wedding or special event and need help finding the right Musician please let us know. We have a list of some of the best musicians in the area. Please feel free to write or call with any questions you may have, or to schedule a lesson or event. All Rights Reserved. Copyright Bachman's Music. Support Music.